Home / Vasectomy Age: At What Age Can Men Have Vasectomy? Vasectomy Age: How Young is Too Young and How Old is Too Old? Dr. Alex Shteynshlyuger is an experienced vasectomy specialist who performs no-scalpel vasectomy with minimal discomfort for adult men who do not desire children and seek an effective permanent contraceptive option. 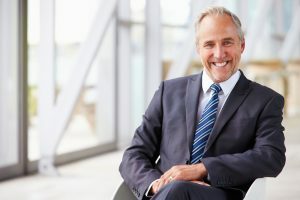 In general, there are no age limitations on when vasectomy can be performed, as long as a man is of legal age and can provide an informed consent for the vasectomy. Practically speaking young men in early twenties without children are usually advised against having a vasectomy as it is common for young men to change their mind and evolve in their interest in having children as their relationship situation changes. We do occasionally see young men whose girlfriend of 3 months does not want to have children and we typically advise them against vasectomy as their relationship status with a girlfriend in question often changes within a few months after consultation. What Is the Most Common Men Age When Men Have Vasectomy? The most common age for vasectomy varies across countries and demographic populations. While there are some men who have completed family and have a few children by the age of 25 or 26, there are many men will wait until age 40 or 50 to have children. As a result, there is a significant variation in the age of men who have a no-scalpel vasectomy. We typically see men from mid-20s to mid-50s who come with a request for a no-scalpel vasectomy. Can a Vasectomy be Performed in A Man who Is 50 Years Old? There are no age limitations on when vasectomy can be performed. The age of sexual partner or partners and their fertility potential needs to be taken into consideration. Certainly, if a 50-year-old man has sexual partners who are much younger and fertile, a no-scalpel vasectomy is a reasonable contraception option. On the other hand, a 50-year-old male who has a sexual partner who is of the same age and does not have any fertility potential (post-menopausal or post hysterectomy), vasectomy may not be necessary for contraception. Can a Vasectomy be Performed In a Man who Is 25 Years Old? No scalpel vasectomy can be performed for a man who is 25 years old. However, in younger men without children, regret rate and request for subsequent vasectomy reversal can be fairly high as relationship status evolves and desire for having children may change. Certainly, men in mid-twenties who have a few children are less likely to regret vasectomy and it may be a reasonable contraceptive option.